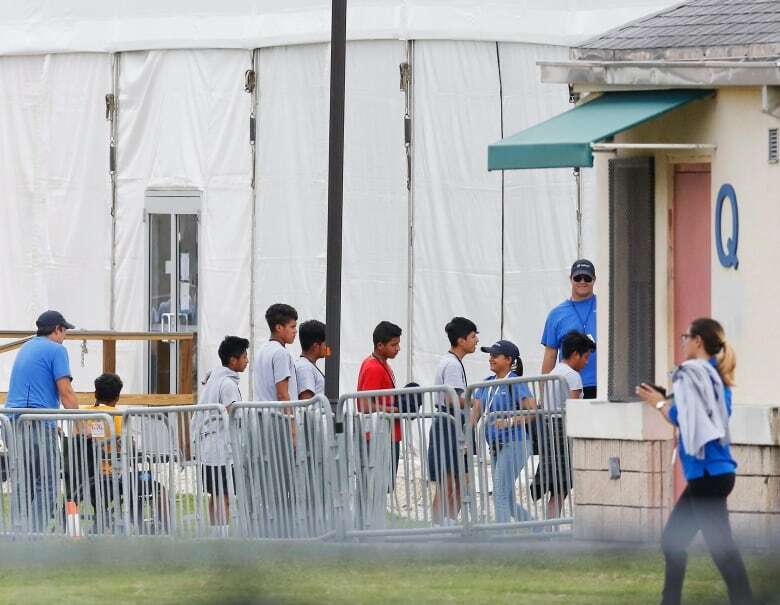 Thousands of children split from their families at the U.S. southern border are being held in government-run facilities. A look at how the situation developed, what's real and what's not. Thousands of children split from their families at the U.S. southern border are being held in government-run facilities under a Trump administration policy, which the U.S. president reversed with an executive order on June 20. Here's a look at the latest in the ongoing saga, how the situation developed, what's real and what's not. Deadlines have passed to reunite children with their families. 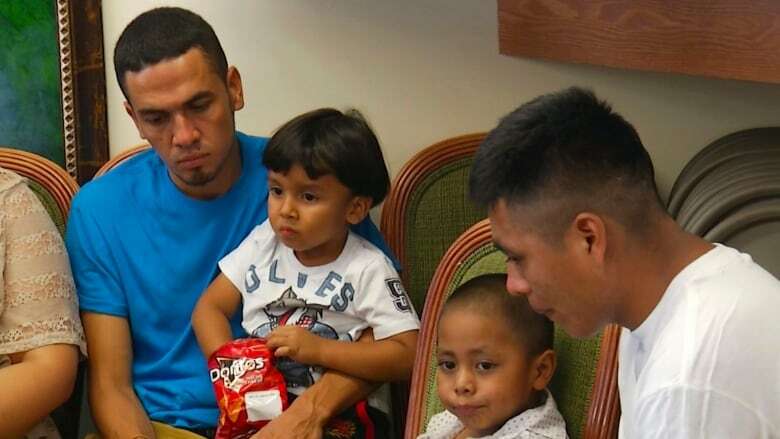 Just 57 of over 100 kids under five were returned to their parents by July 10, while the administration said some 1,800 reunifications took place ahead of a July 26 court-mandated date. That left about 700 cases, including 431 children whose parents have been deported, officials said. After Trump's executive order, the administration appeared to want to keep the families together in detention for an indefinite period. It was an approach the Obama administration wanted to employ after a surge of border crossing attempts in 2015, but the courts ruled the parameters of a 1997 settlement known as the Flores Agreement held, which says children cannot be held in detention for long periods, irrespective of whether they're with their families. In late June, U.S. District Judge Dana Sabraw in San Diego, Calif., said much the same. He ordered border authorities to reunite separated families within 30 days. The only exceptions, Sabraw ruled, were if the parent is deemed unfit or doesn't want to be with the child. When explaining why 46 children were not reunited with their parents on July 12, the administration said just that – they were unfit. The administration cited a variety of reasons, from serious criminal offences, deportations that have already taken place and seven cases where it was determined by DNA testing the adults were not their parents. A further 67 so-called "red flag" cases were cited in the July 26 reporting. Children whose adult sponsors are not deemed fit remain in the care of Health and Human Services, the government said, which will continue to seek to place them with a sponsor. Tens of thousands of parents and children, mostly from Honduras, El Salvador and Guatemala, have been caught crossing the U.S.-Mexico border illegally in recent years with stories of fleeing drug cartels, extreme poverty and gang violence. The U.S. can't send them back over the border unless they are Mexican citizens, and instead must refer their case to an immigration judge. The Obama government, when it received the aforementioned court ruling setback on detaining families indefinitely, began releasing them into the U.S. pending notification of their next court date. Fast forward to Trump, who campaigned on building a border wall, and Attorney General Jeff Sessions, who derided these longtime U.S. immigration practices as "catch and release." Trump and Sessions insisted that people exploit the system, even travelling with children to ensure they aren't jailed and slipping away before their court dates. Did the U.S. policy change? Yes. Following Trump's election, then-Homeland Security Secretary John Kelly — now Trump's White House chief of staff — floated the idea of separating families as a way to discourage illegal border crossings. But much of the administration's focus went into a travel ban aimed at Muslim-majority nations. By this April, Sessions announced a plan: The U.S. would have "zero tolerance" for illegal crossings. If a person doesn't arrive at an appropriate port of entry to claim asylum, the crossing is deemed illegal and prosecuted even if the person does not have a criminal history. With the adult detained and facing prosecution, any minors accompanying them are taken away. Homeland Security Secretary Kirstjen Nielsen muddied the debate by insisting that children would only be separated in narrow circumstances, including if the adult has broken the law. That falsely leaves the impression that only children travelling with gang members or other violent criminals would be separated. But under U.S. law, the act of crossing the border without proper documentation is itself a crime and would trigger a separation. At least 2,300 children were separated from about 2,200 adults until the executive order was signed by Trump. Trump has attempted to blame the Democrats for the separation policy, claiming they are obstinate and weak on the immigration issue. But Republicans currently control the executive and legislative branches of government. Critics say it shouldn't take much compromise to push through a comprehensive immigration plan. The Democrats of course had a period under Obama when they could have passed an immigration reform package and secured protection for the so-called Dreamer children — brought to the U.S. by parents who stayed in the country illegally. Their supporters would point to a Republican leadership under the likes of Mitch McConnell, John Boehner and Eric Cantor that was loathe to compromise. The current calculations and potential costs for Democrats are political. Every House seat is up for grabs in the November midterm elections and the 30-odd Senate contests that will take place at the same time are largely in seats they have to defend, some in states Trump carried in the presidential election. So if they are perceived as too lenient in jurisdictions were voters do want some measure of border security and curtailing of illegal immigration, they will endure continued Republican control of Congress along with the Oval Office. The Republicans have to appease voters and try to find some common ground within their own party on immigration. Moderate Republicans had been trying as recently as late June to negotiate a plan that would reduce family separations and open a path to citizenship for the Dreamers. Many hardline conservatives, including some of their members of the House, are leery of any legislation that would protect from deportation immigrants who arrived illegally, calling it "amnesty" and complicating the Republican Party's ability to pass both the House and reach the needed 60 votes in the Senate. Trump likely gave his critics further ammunition to hold that view when he tweeted in late June that Republicans should "stop wasting their time" on immigration until the elections, hinting that Democrats would be in a weakened position after a "Red Wave."